Most existing medical marijuana operations in Washington could go out of business if the state adopts draft recommendations released this week, while others would have to shell out hundreds of thousands of dollars in additional expenses to continue operating. Dispensaries: Existing dispensaries would essentially have to become adult-use retails stores, meaning they would also be subject to location restrictions and overall caps on the number of shops in the state and individual cities. These restrictions and caps – coupled with the high costs of meeting the new regulations – would likely force many dispensaries to close. In Seattle, for instance, just 21 retail shops will be allowed under the recreational rules, but there are an estimated 200 dispensaries. Medical marijuana businesses also would have to be at least 1,000 feet from schools, playgrounds, recreational centers, child care facilities, public parks, public transit centers, public libraries or “any game arcade where admission is not restricted to persons age 21 or older.” Many existing dispensaries (which operate in an unregulated environment) would have to move, which is costly and eats up resources. And finding compliant space could be a huge issue. “If these recommendations are adopted, medical marijuana providers will have to comply with the 1,000 foot rule, under which space is extremely limited in densely populated urban areas like Seattle,” said Hilary Bricken, an attorney with Canna Law Group. She added that, under the proposed recommendations,”there’s a good chance that medical marijuana dispensaries won’t exist” by 2015. Additionally, restructuring to meet the requirements and applying for the license would become the top focus of marijuana providers, distracting them from other vital parts of running their business. Taxes would inflate prices and eat into profits as well. However, current dispensary owners that successfully make the transition will be able to tap a huge new market (an estimated 300,000 consumers spending $500 million in the first year of the program, and $1 billion or more down the road). They’ll also benefit from operating under tight restrictions and regulations, which could shield them from federal interference. Some could also still carve out a niche by keeping the focus on medical, as the draft recommendations would allow retail stores to get an “endorsement” to accept patients registered with the state’s medical marijuana program. These patients wouldn’t have to pay retail sales taxes on their marijuana purchases, which would give stores focused on MMJ a price advantage. Grow operations: In the current unregulated market, most marijuana producers either grow at home individually or operate under the collective garden model. But both home grows and collective gardens would be eliminated under the draft recommendations. Those growing now would have to meet the new processor requirements, find a suitable location (which could be tricky due to zoning issues, like the ones in Seattle) and secure a license. Shawn DeNae of the Washington BUD Company, which grows cannabis and supplies dispensaries under the collective gardening model, said the transition will likely cost her more than half a million dollars. “Getting a license is one thing – finding a spot that qualifies under the 1,000-foot-rule will be hard enough – but then once the license is issued there’s also the possibility that the local zoning or planning commission will have a problem with your business being in the community,” DeNae said. “You’ll have to devote a lot of money and time to this, and there’s still the possibility it will get hung up” by red tape. Still, as is the case for dispensaries, the rules could help minimize the possibility of federal prosecution and introduce long-term stability. Hydroponics shops: Those that focus on the home-grow market would take a hit, but there would be increased opportunities for businesses that sell equipment and products for larger cultivation operations. Testing companies: Most of the medical marijuana currently sold in Washington has not been tested for potency and safety, as it’s currently not a requirement. The proposed recommendations would require all cannabis businesses to perform such testing, representing a boon for companies that provide these services. Packaging/labeling firms: Medical marijuana products would need to have labels displaying levels of THC and cannabinoids – creating new opportunities for packaging and labeling firms. Real estate professionals/landlords: The location restrictions will create a huge scramble in some cities to find suitable space. Real estate agents that specialize in this area will be in high demand, while landlords with properties in compliant locations will have some significant pricing power. Lawyers/consultants: Navigating the new rules and regulations will be challenging, and many current MMJ business owners will likely enlist the help of attorneys as well as consultants with experience in other regulated markets such as Arizona, Colorado and some of the newer cannabis states. 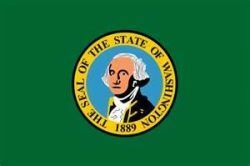 The Washington State Liquor Control Board will now solicit public feedback, amend the proposals and then issue its final recommendations to the state by Jan. 1. Thanks for this update on Washington. We in Colorado have been going through most of this already, and are somewhat practiced at navigating these regulations. It is not easy, but it can be done. Re-locating your operations should be considered almost a full time job all by itself! When the voters passed I502 it was slated as recreational marijuana use. The language used on the ballot excluded medical marijuana usage. Now the state is wanting to close down all dispensaries. I am a 52 year old disabled electrician. I cannot work a steady job because of my health conditions. However, I did get my mmj license and not only has it helped me with my chronic pain it also turned into a legal business. We applied for and received our Corporation charter and a business license for Thurston County. I have managed to build a growing mmj delivery service. That makes me a productive member of society. Now the state wants to take all that away?!? How is that right? I know I am not the only one that is falling into this catagory. Not only do they want to take away our right to have a business they are saying we cannot even grow for ourselves and have to pay the expected high cost for our medicine. How is someone on SSI going to be able to afford to purchase medicine at the state’s pricing structure. I am currently producing my own high grade medicine and it cost me nothing because I am also providing other patients through the delivery service. The state is going to put a lot of people back on public assistance. What is this going to do to the economy when all the growers and dispensary owners and employees hit the unemployment line, not to mention the hit all the other supporting industries will take. The government does have to the right to regulate the business that takes place in its state, but who gave them the right to regulate what foods, vegetables, or herbs that I want to grow for myself and other things I want to do in my own home. I can still make my own beer and wine right right? Still grow my own tomatoes right? People need to se this for what it is, an attempt to take our rights away and make us more and more dependent on the government and big corporations for everything. Am I no longer considered, as an adult, competent to decide what is the best for myself? this is kind of a state bullying/greed deal. on one hand, I do understand there point,the greedy one,but as far as taking our medical right to grow our own medicine,is absurd.look its the liquor control board whom regulates beer and spirits right? & I do enjoy crafting my own recipes,which is allowed to an extent,well that SHOULD mean the same in there (liquor cont.brd. )other new product marijuana. Taking that away is rediculous, I mean i do enjoy my bud light and fat tire but I also likle every now and then my own beer.they still get payed!!. As far as shops.I dont care, alot of shady people i wont go to there shops anymore. but making my own should NOT BE A PROBLEM!!! I hope they do regulate, because mmj is a heaven for the black market. U should be taxed and have to follow the same rule that other drug manufacturing firms have to follow. I only hear crying from those that are taking advantage of mmj to profit, then they cry about big drug companies that do the same. Shut down and regulate for safer product. You had ur time, and now its going to be over. Better get w the new program or u will be out of luck.